Our Biogas division recently completed this 5,398 cubic metre tank top gasholder for WesTech in the USA. 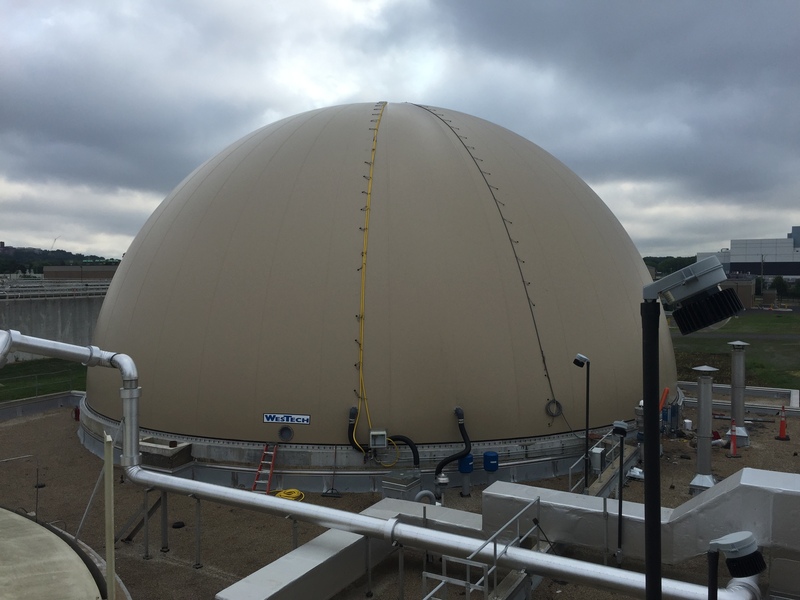 Installed at Waukesha Waste Water Treatment Plant in Wisconsin, the 28m diameter 14m high dome operates at 27 millibar working pressure. The design uses our unique double-membrane construction technique, with the special tan colour of the outer membrane specially requested by the client.